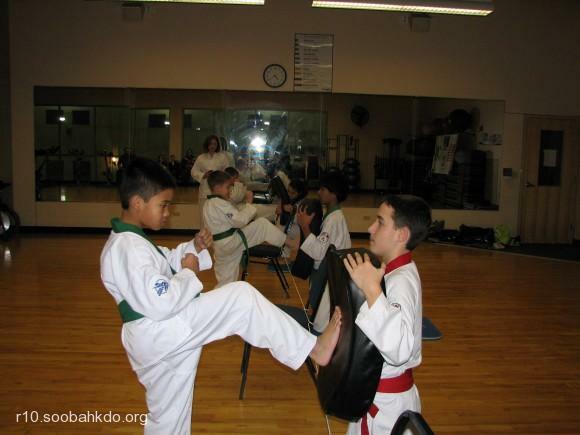 When Spokane Soo Bahk Do® instructor Bud Bolan launched their Kick-a-thon for the Moo Duk Kwan®, he even recruited the parents of students to participate in the exciting event. He backed up his request for parents to join in by personally sponsoring each parent for $20. Spokane Soo Bahk Do parents and students kicked up their heels for a good cause and had a blast!